Product code: ES8204 Categories: Sold Items, Sold Rings. With such an elegant design that has never gone out of fashion or style, this antique sapphire and diamond ring made in 1901 will always look and feel so beautiful on the finger and is made even more wonderful by being well over 100 years old, yet still in wonderful condition. Made in carat yellow gold, in total the three lovely sapphires total 1.50 carats, and instead of having just one diamond on either side of the centre sapphire, there are actually two. They are all the lovely antique European cut diamonds and they total 0.16 carats. 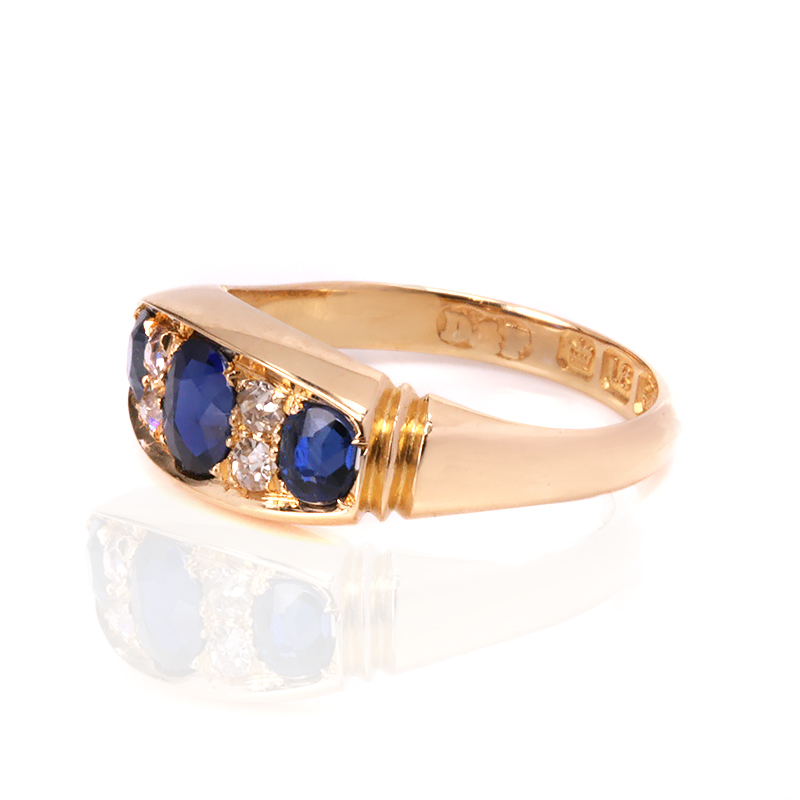 Both the sapphires and diamonds are set into the band making this so comfortable and practical to wear all the time, and at the centre the ring measures 8.1mm by 16.1mm across. Perfect for any finger, it will also make a superb antique engagement ring and regardless of the finger that it is worn on, it will no doubt always be loved and admired. 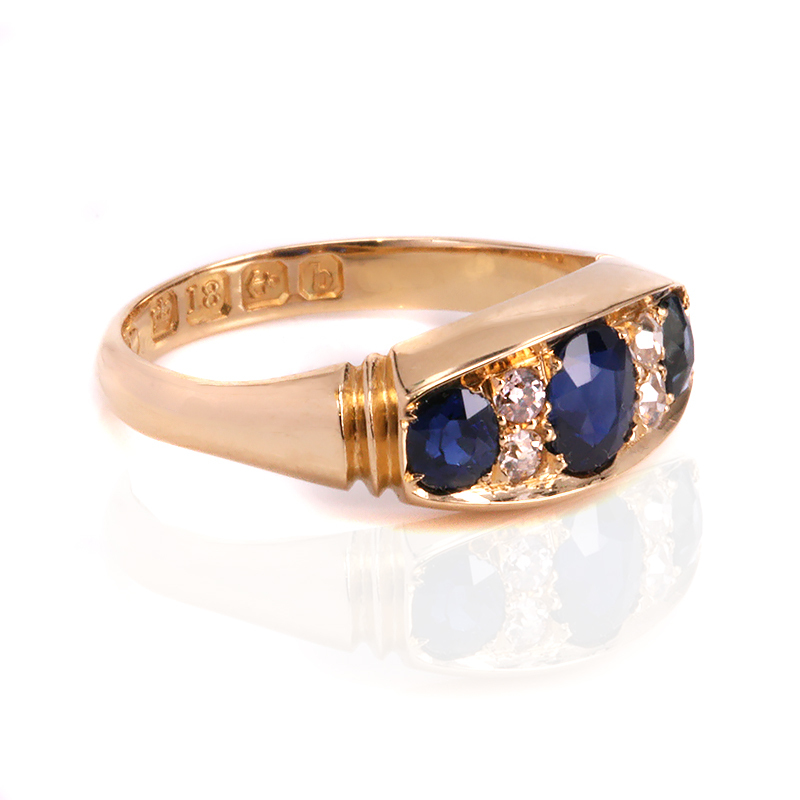 Tags: Antique sapphire and diamond engagement ring, Antique sapphire and diamond ring.